May Mallari's primary areas of practice are devoted to representing employees in cases involving sexual harassment, discrimination, retaliation, wrongful termination as well as wage and hour issues. Ms. Mallari graduated from Loyola Law School (Los Angeles, CA) and has been an active member of the CA bar since June, 2000. 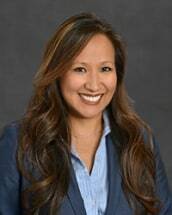 Most recently in 2005 and 2006, Ms. Mallari was recognized as a Southern California Rising Star in the Southern California Super Lawyers Rising Stars Edition published by the Los Angeles Magazine and Law & Politics Magazine. Ms. Mallari is also a member of the California Employment Lawyers Association.